Snow days can be fun, but too much time confined in my house can make me a little stir crazy! By day two I’m usually starting some big craft project or rearranging the furniture. This time though my focus turned to the kitchen! (That almost never happens!) I’ve been in a Nutella mood lately and wanted something quick and easy (and a little more sophisticated than just sticking a spoon into the Nutella jar, though there’s NO SHAME IN THAT.) My answer? 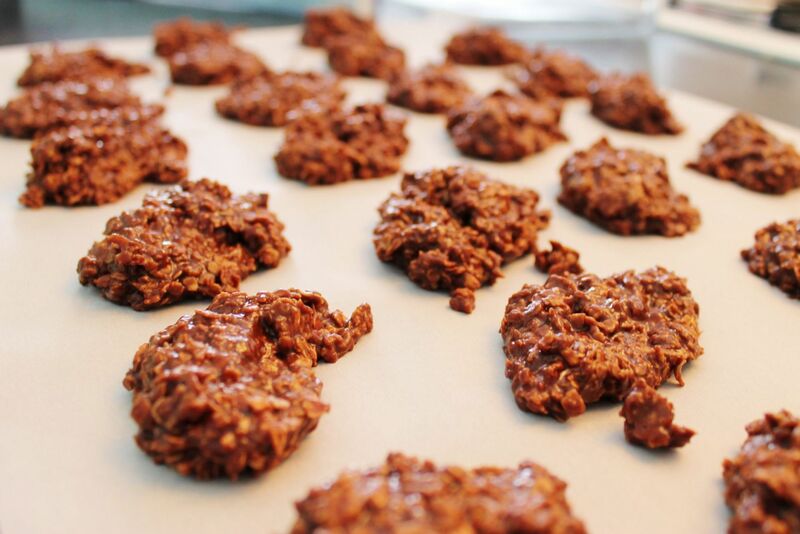 Nutella No-Bake Cookies! 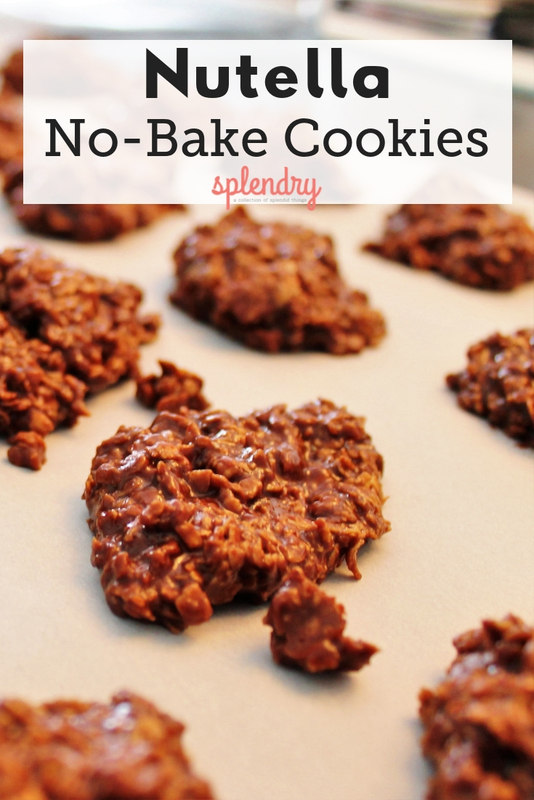 These have all the ease and flavor of the no-bake cookies you’re used to, with the added wonderfulness of Nutella! If you’re looking for something that’s light on the chocolate and not too rich, this is not your recipe. I repeat, this is not your recipe! You’ve been warned! 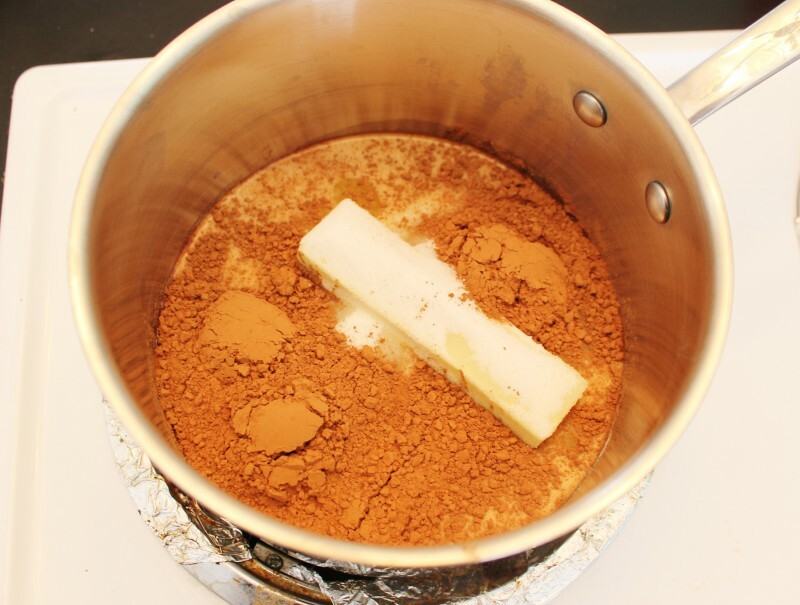 In a saucepan over medium heat, combine the butter, milk, sugar, and coco powder. 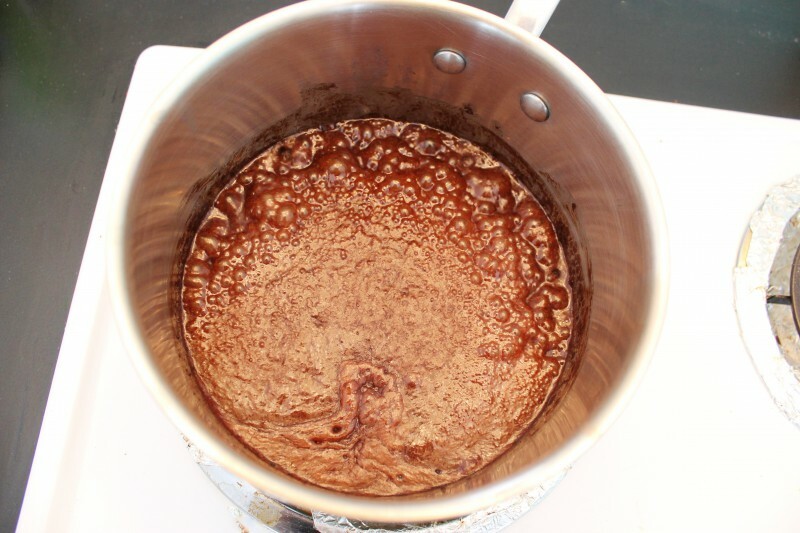 Allow the mixture to boil for about a minute and remove from heat. Add the vanilla, Nutella and salt. Mix to combine. 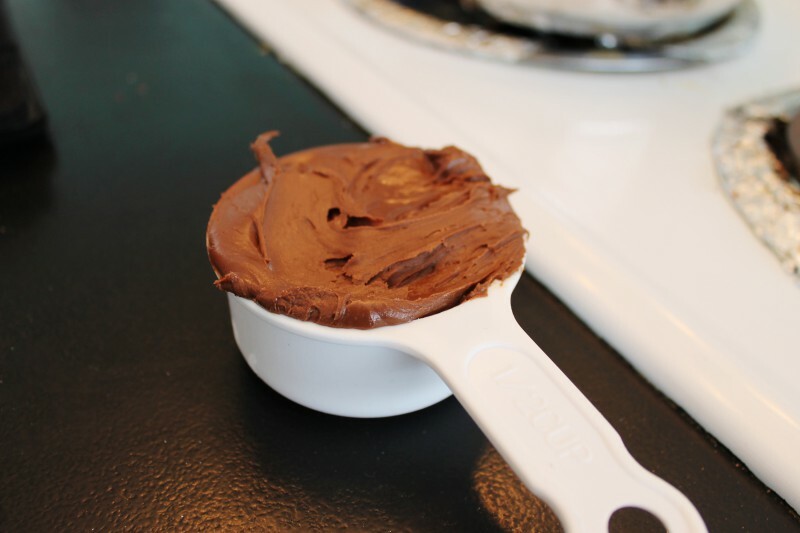 (The Nutella might be a little stiff but will eventually mix in well.) Stir in the oats until well combined. 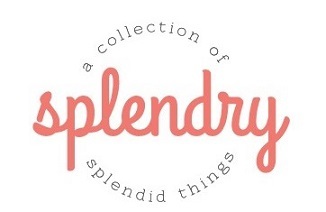 Drop by spoonfuls onto waxed or parchment paper. This batch made me about 26 large cookies. You could easily get three dozen out of this if you made smaller spoonfuls. Allow to cool for a few minutes before devouring!